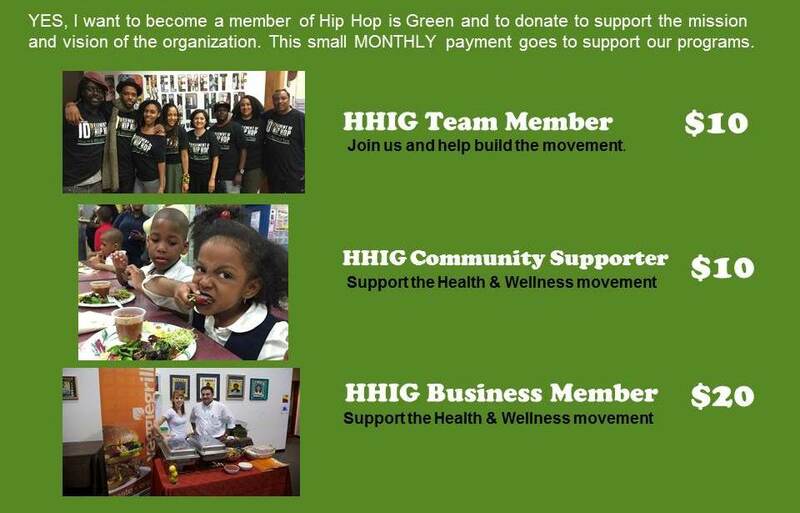 Over the last several years we’ve been very busy holding Hip Hop Green dinners and building a National network of health professionals to co-host the green dinners and work with us to institute our program in most major cities around the country. 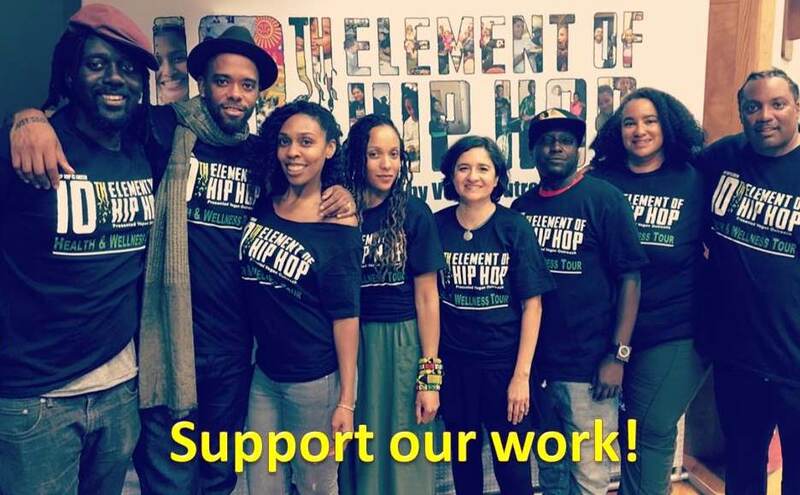 Our goal is to establish ourselves through our National tours and live Hip Hop Green Dinner events and then set up our 10th Element Health & Wellness program. Thus planting the seeds for future development of our national organization and creating a viable urban health & wellness network. We currently have 30 chapters in various stages of development that have partnered us and with community leaders, organizations and experts in the plant based, green and health space. Together we pull targeted local resources together for the green dinners in order to make very empowering events. By having many local experts in the areas of Health, Veganism, Farming and Green Jobs in the room we have a perfect way to connect young people to the information and people they need to learn from in order to live healthy lives. Also by having top Hip Hop artists performing and speaking on health and fitness young people are more motivated to listen and make changes within their lives. 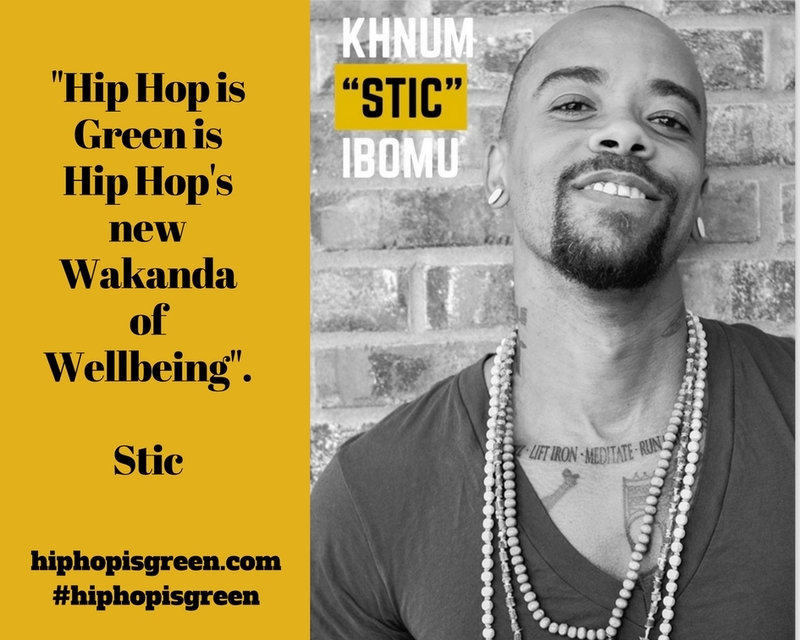 Background: On April 21, 2016 Hip Hop is Green the largest plant based Hip Hop organization in the world held a special ceremony in New York with hip hop luminaries that changed Hip Hop culture forever when Health & Wellness was designated as the 10th Element of Hip Hop. This Symposium features the top hip hop artists passionate about health and wellness. 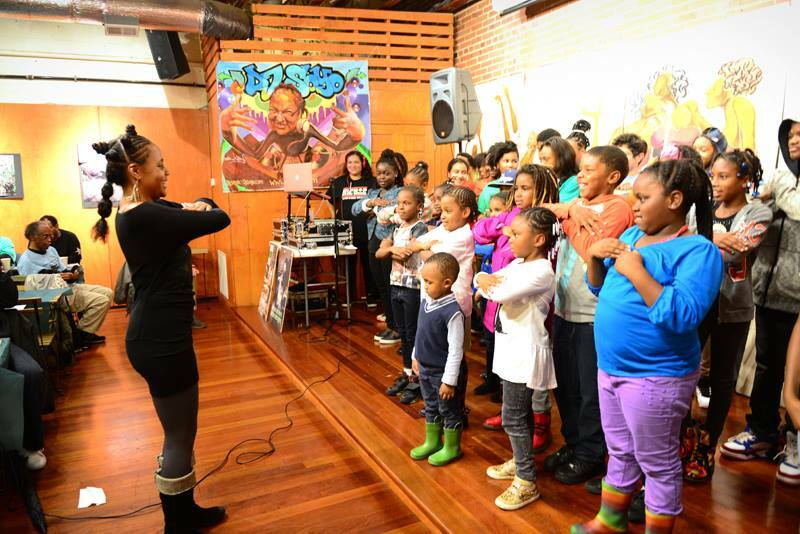 The Symposium seeks to shift consciousness through reaffirmation of the traditional African American values of resilience and creativity through panels that explore hip hop culture in the context of health and wellness, the power of African American music and culture to influence and heal our community. 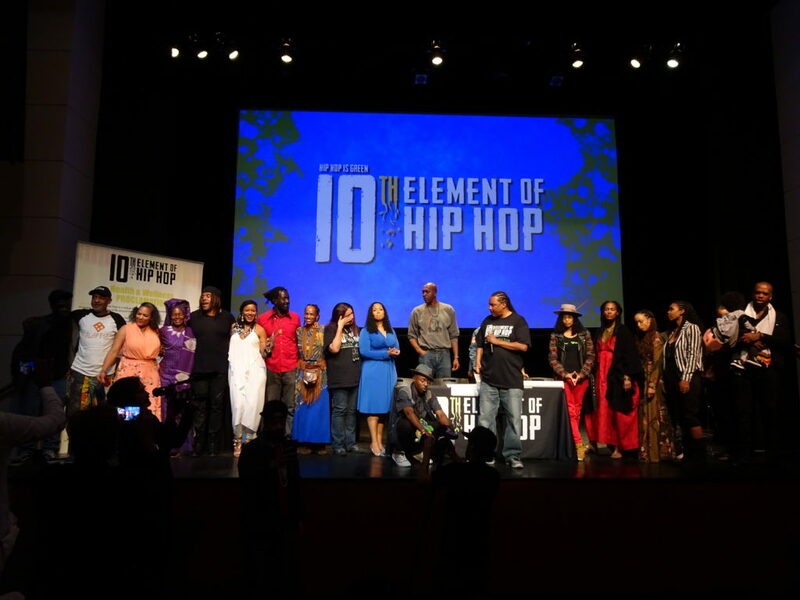 On April 21st Hip Hop is Green the largest plant based Hip Hop organization in the World held a legendary event in New York- The 10th Element of Hip Hop Health & Wellness ceremony where Hip Hop culture was changed forever. It was the vision of Hip Hop is Green's Founder KEITH TUCKER along with STIC of Dead Prez, EZ AD of the Cold Crush, STYLES P, SA ROC, JOHN SALLEY, LAUREN VONDERPOOL, SUPANOVA SLUM, METHUZULAH, ASHEL SEASUNZ along with many others that were instrumental in adding Health & Wellness as the 10th Element of Hip Hop Culture. We did this as a unified group all with the mission of bringing health & wellness to our people. This concert is a celebration of this historical new 10th Element of Hip Hop culture.